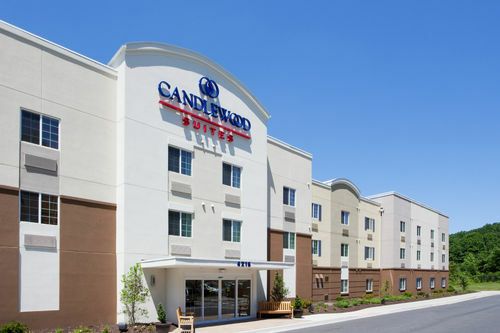 Extended stay hotels near Baltimore, MD may not be hard to come by, but few can match the quality found at the Candlewood Suites® Hotel Aberdeen - Edgewood - Bel Air. 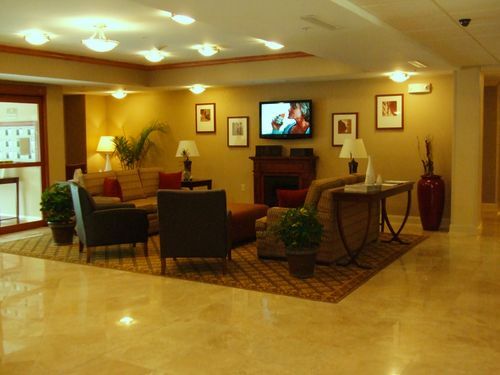 This hotel's accommodations in Bel Air offer Maryland travelers a comfortable, convenient home-base only six miles from Aberdeen Proving Ground and just over 30 miles from downtown Baltimore and BWI Airport. Those seeking hotels near Baltimore, MD for government, corporate or professional travel appreciate this hotel's proximity to Raytheon, SAIC, Peach Bottom Power and Baltimore Convention Center. In addition, services like a 24-hour Business Center and free wired and wireless Internet access provide long- and short-term business travelers with the resources they need. Leisure patrons find plenty to do in the Baltimore area, from exploring local attractions like the historic Concord Point Lighthouse to shopping along Baltimore's Inner Harbor. Sports fans can cheer on the IronBirds at Ripken Stadium or the Orioles at Camden Yards. While in Bel Air, Maryland this hotel's guests feel truly at home thanks to perks like free laundry facilities, a video library and even barbecue grills. You can workout any time thanks to the 24-hour Fitness Center, and stop by the Candlewood Cupboard for a snack, drink or sundries. We even welcome furry family members, so next time you're in the Baltimore area, "Consider Us Home."